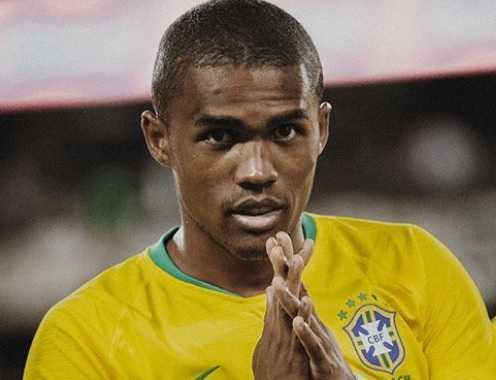 Douglas Costa de Souza professionally known as Douglas Costa is a Brazillian professional footballer who plays as a winger for Italian club Juventus and the Brazil National Team. Costa started his career from Gremio. He moved to Shakhtar Donetsk in 2010. Bayern Munich signed him in 2015. Bayern loaned Costa to Juventus in 2017. 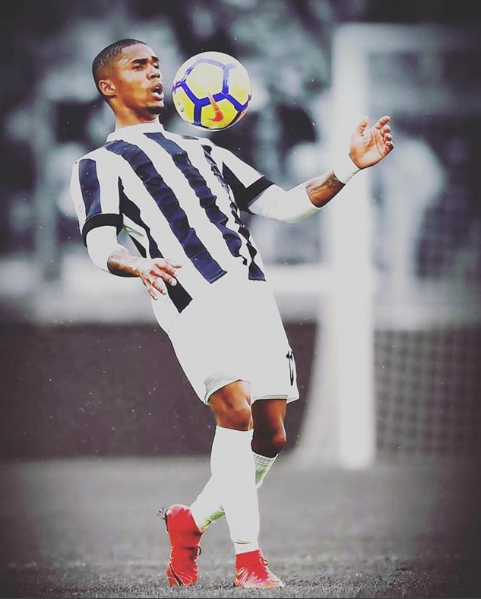 Juventus made his loan move permanent in 2018. Costa represented Brazil at the 2015 Copa America and the 2018 FIFA World Cup. Costa has scored career 59 goals in all competitions for all clubs and 3 goals for Brazil till date. Douglas Costa of Juventus was sent off in final minutes in a 2-1 win against Sassuolo, while Cristiano scored debut goal with a brace for Juventus in the competitive league. Juventus were leading 2-0 at home, substitute Federico di Francesco, who was battling with Costa to win a ball, for which Costa was furious to receive tussle. Costa elbowed the Federico. Their argument did not stop there. Costa then headbutted the Sassuolo forward, Federico right in front of the referee. Initially, referee Daniele Chiffi penalized Costa with a yellow card. Costa was lucky not to receive a straight red for elbowing and headbutting. VAR showed Costa spitting into Federico's mouth before headbutting. And the referee sends him off in the final seconds. Costa might be facing match ban for his unsportsmanlike behavior. 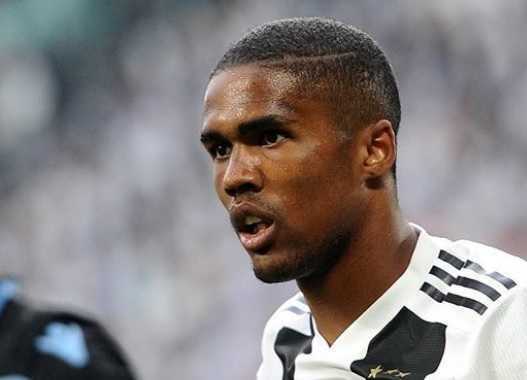 Douglas Costa was born to a father Antonio Valmor de Souza and a mother Marlene Costa de Souza on 14 September 1990 in Sapucaia do Sul, Brazil. He has two younger sisters named Vitória and Amanda Costa and an older brother. His father Antonio was mechanic by profession. He had a serious drinking habit. Costa joined Gremio at the age of 11. On October 4, 2008, he made his debut for the club against Botafogo at the age of 18. Costa scored his debut goal as well when Gremio won 2-1. Costa made 37 appearances for Gremio in all competitions and scored twice in total. He signed for Ukrainian side Shakhtar Donetsk on January 10, 2010. Shakhtar Donetsk signed a five-year contract with Costa on January 10, 2010, for 6 million Euro. Costa made his debut for the club against English club Fulham in a UEFA Europa League on February 18. He came on as a substitute for Jadson in the 75th minute. Shakhtar Donetsk lost 2-1. Costa scored his first goal for the club in a 2-1 victory over Metalist Kharkiv on March 14, 2010. Costa went on winning 2009-10 Premier League title in his first season. Costa won the treble with Shakhtar in his second season. Shakhtar won the Premier League, Ukrainian Cup, and the Super Cup. Costa won Premier League and the Ukrainian Cup in his third season. Costa became the joint top scorer when Shakhtar won the 2014 United Supercup. Shakhtar also won the Premier League title same season and Costa became top assist provider during the season. Costa scored a total of 37 goals for Shakhtar in all competitions. Bayern Munich announced on July 1, 2015, that they had signed Costa on a five-year contract for a transfer fee of 30 million Euro. Costa made his debut for the club against VfL Wolfsburg in the 2015 DFL-Supercup. Bayern lost on a penalty shoot-out. Costa scored his first Bundesliga goal in his debut League game against Hamburger SV. Costa scored the winning goal for Bayern in a penalty shootout against Borrusia Dortmund to win 2016 DFB-Pokal Final. Bayern also won Bundesliga that season. Costa won 2 consecutive Bundesliga, DFB-Pokal 2015-16 and DFL-Supercup 2016 in his Bayern Munich career. Costa under new manager Carlo Ancelotti was not given much playing time. Costa unsatisfied with the situation made his future uncertain at the club. Bayern loaned Costa to Juventus for 6 million Euro on July 12, 2017. But Juventus was given option to make the move permanent on July 1, 2018, for an additional 40 million Euro. Costa made his Juventus debut coming as a substitute on 13 August against Lazio in the 2017 Supercopa Italiana. Juventus lost 3-2. On October 14, Costa scored his first goal for the club against Lazio. Juventus again lost 2-1 at home. Costa, in his first season, won Seria A 2017-18 and also became second in the list of top assist providers in Seria A. Juventus made Costa's loan movement permanent on June 7, 2018. Costa made his international debut for Brazil against Turkey in November 2014. Costa was also included in Brazil's 23-man squad for the 2015 Copa America. Costa scored his first goal for the country in their opening match against Peru. Costa scored a winning goal in the stoppage-time. Costa withdrew his name from the squad for the Copa America Centenario after sustaining an injury to his left thigh. Costa was also named in Tite's 23-man squad for the 2018 FIFA World Cup. At present, Douglas Costa earns a $2 million per year. Costa was initially loaned to Juventus from Bayern Munich. Juventus made the loan move permanent few months back. The net worth of Costa is estimated to be $10 million. He owns a luxurious condo in Sunny Isles Beach at the under-construction Jade Signature in Miami worth around $4.53 million. Costa is fond of cars. Douglas Costa was previously married to Luisa Ramos in June 2014. Ramos and Costa stayed together at Ukraine when Costa was playing for Sh's Akhtar Donetsk. Their marriage did not pro-longed forever. The couple split after a year of marriage. The reason behind their split is not revealed. At present, Costa is single and unmarried. No rumors about his relationship have come to light so far. Douglas Costa has been successful for all the clubs he played for, Shakhtar Donetsk, Bayern Munich and Juventus at present. Costa scored his debut goal of the career for Gremio in the debut match against Botafogo. Costa scored his first goal for Shakhtar Donetsk in his debut game against Fulham in UEFA Europa League.